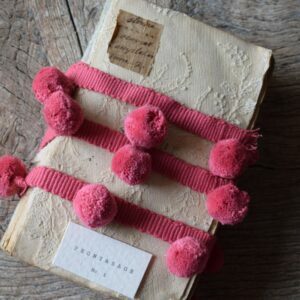 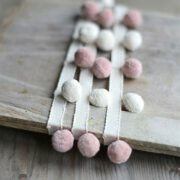 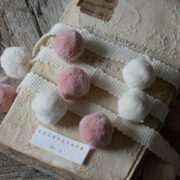 Gorgeous ivory and powder pink pom poms. 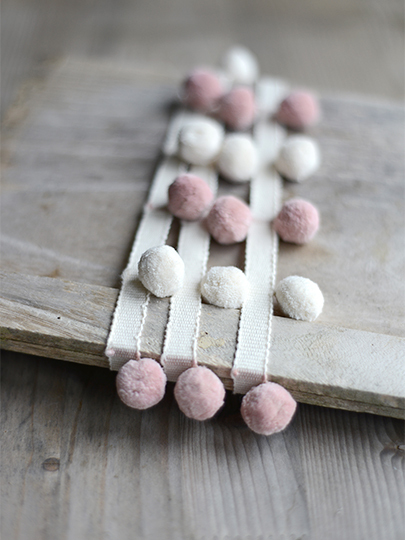 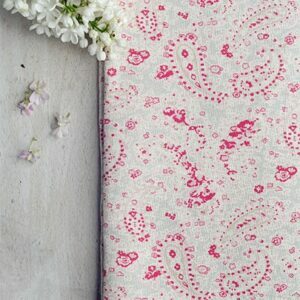 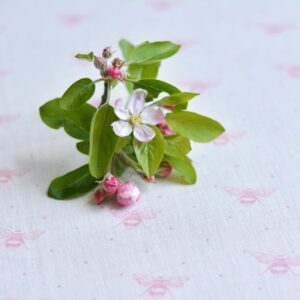 These look great with our powdery pinks or pink icing colourways. 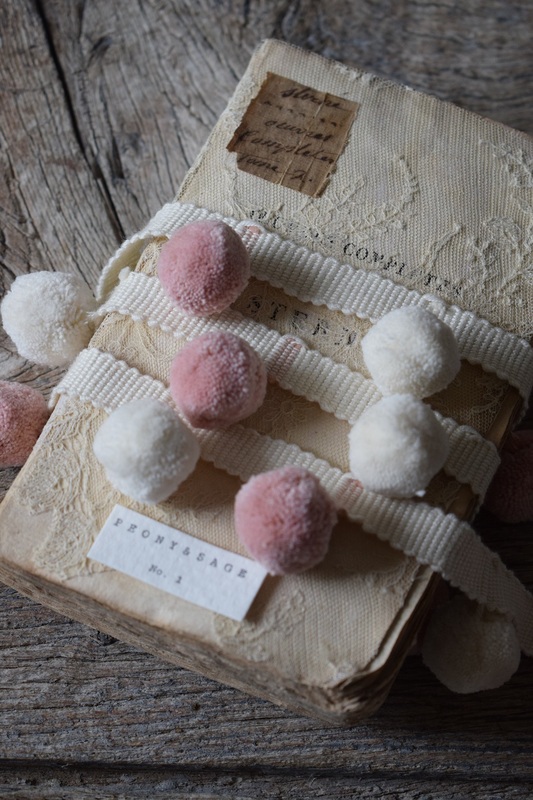 Recently we did a nursery with Antique Powder Pink wallpaper and mini hops in antique powder pink as curtains trimmed with these lovely pom poms. 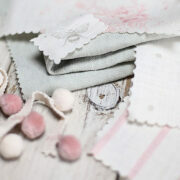 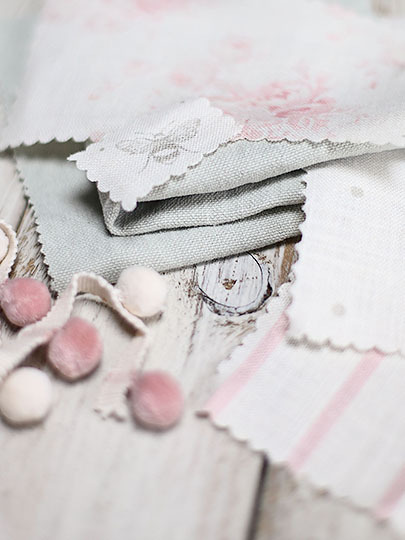 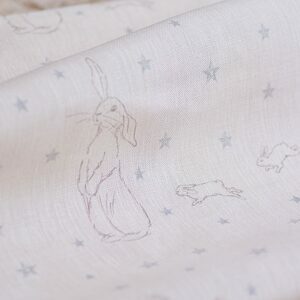 Perfect with our Rabbit All Star, Eva Stripe, Pale Pink Icing and Mulberry Pink Colourways.